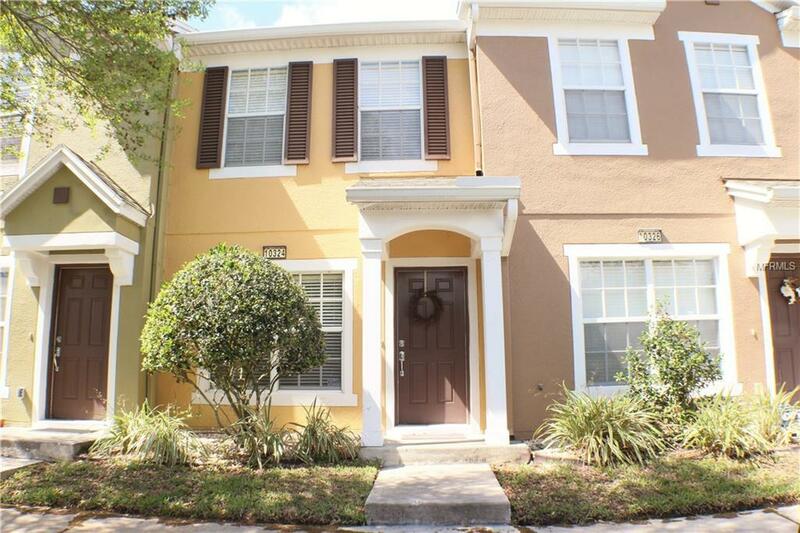 The GATED community of Westpark Preserve offers this 2 bed, 2.5 bath townhome! This property has an open floor plan with living room/ dining room combo and views from the kitchen. The kitchen is complete with ALL appliances, a breakfast nook and closet pantry. The convenient half bathroom finishes off the first level. Both bedrooms are on the second level, each with a full bath. Washer and dryer hookups are also conveniently located on second level. Enjoy the private screened lanai with tile floor and a storage closet. This unit is located directly across from the beautiful community POOL! Great location with easy access to the Veterans Expressway, close to plenty of shopping, restaurants, downtown, the airport, beaches and more! !